Rain again, and I'm sure they promised a fine day! There was sunshine too. and then up Loch Long past lots of mysterious buildings guarded by patrol boats. Alice and I were entranced by a family of Porpoises that played around the boat for five minutes or so as we turned from Loch Long into Loch Goil. 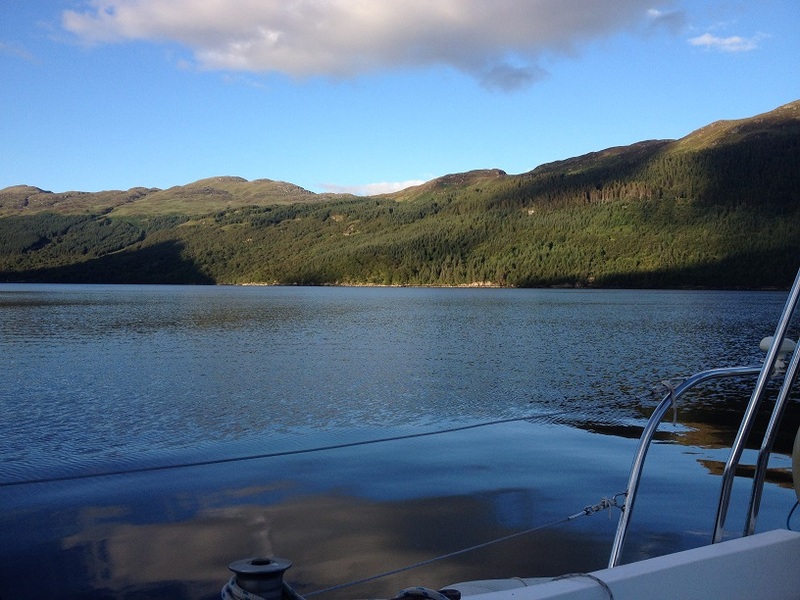 Then slowly sailed up to Lochgoilhead only to discover all the visitors moorings were full. 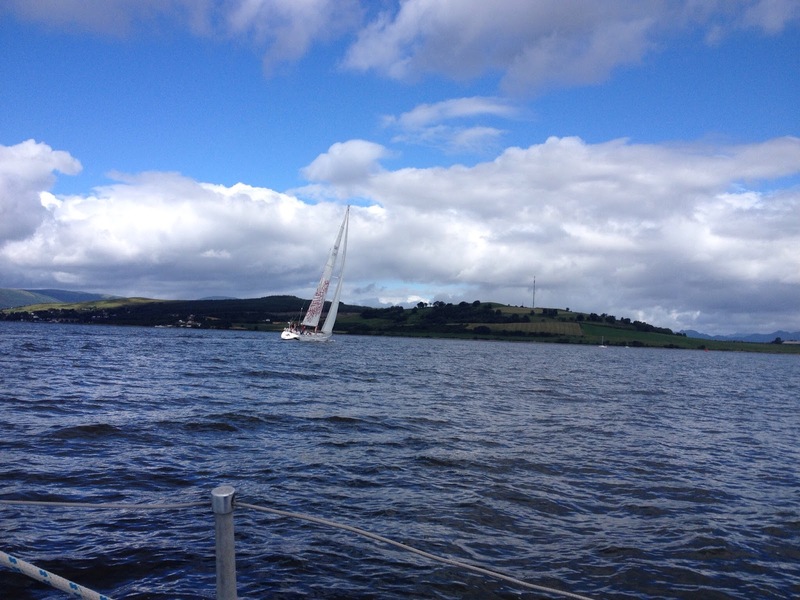 Turned back down the Loch to Carrick Castle but the two visitors moorings there were full so decided to anchor. 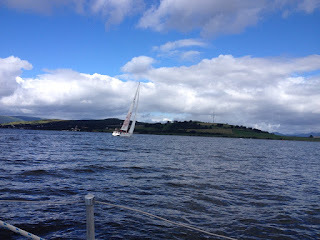 A few minutes after dropping the anchor we were hailed from the shore. A very nice man, with a couple of GSDs said we could use his mooring for the night - for free. Thank you very much sir. Alice swam that evening in the Loch. Both exhausted so in bed early- didn't wake up til 9 the next morning! This was the view from the hatch that evening - magic.